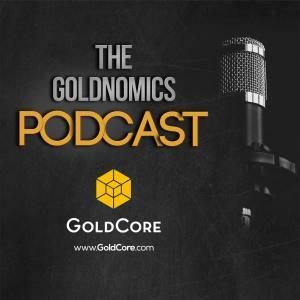 Goldnomics Podcast Ep4 –Not All Gold Is Equal! In this the fourth episode of the Goldnomics podcast we ask the question; “Is all gold equal?”. We discuss how the tangible quality of gold is key to gold’s ability to act as a form of financial insurance for your portfolio. With this in mind we discuss all the various ways that investors can invest in gold and investigate which are the safest and which forms of gold investment may actually be increasing the risks in your portfolio. 0:46 What we mean when we say “Not all gold is equal”. 1:31 The value of gold is derived from its tangible qualities. 1:45 Factors to consider while receiving a delivery of gold futures. 2:11 The many different ways available to investors to invest in gold. 4:00 The importance of proximity to your gold when deciding how to invest. 4:48 The actual tangible form that the gold comes in a delivery. 5:12 Drop a coin on a table and there is a certain quality to the sound. 6:27 Are Exchange Traded Funds (ETFs), a good way of investing in gold? 7:01 The unintended consequences and risks of investing in ETFs. 7:29 Is the convenience of digital gold worth the risks for many investors? 8:02 Advantage of having gold physically stored in a specialised storage facility. 8:43 The layers of indemnification when buying gold through ETFs. 9:18 What you actually own when you own an ETF. 11:09 By buying gold through ETF, you might be inviting some potential unwanted risks into your portfolio. 11:56 Is owning gold mining stocks a safe way to invest in gold? 11:42 The risk associated with owning a gold mining stocks. 18:28 The risks when your gold dealers are solely operating on the internet. 20:00 The challenges of trying to get your digital gold allocated. 25:21 The benefit to the client of holding gold in allocated segregated accounts. 25:31 The worst case scenario and how you and you gold is protected. 26:06 The risk of using digital gold providers compared to physically storing gold. 26:24 The risks when you are entirely dependent on one digital gold provider. 26:43 The risk of a single point at failure. 27:06 Why you can’t take your digital gold from one company and sell it to another. 27:50 The risk that hedge funds and vulture funds could enter the market. 28:53 What’s at the other end of proximity continuum. 30:35 The CGT benefits for UK residents when they invest in these coins. 31:41 Why the premium should not be much of a concern for an Investor. 33:49 The other major benefit from investing in gold coins. 35:44 The process of actually investing your money in gold. 35:30 Why you should not invest all of your money in gold. 37:53 Why you should keep a portion of your invested gold geographically dispersed. 42:01 How gold serves not just as financial insurance for your portfolio but has also provided a return over stocks & bonds.